Should I Work with a Wedding Planner / Designer? The general public (those that aren’t in the wedding industry) often use the term wedding planner to describe a professional who helps to plan a wedding from the beginning to the end and for the most part, they are absolutely correct, except there’s more to it. What they often don’t realize is that most wedding planners provide varying levels of services that might not perfectly fit the literal meaning of the phrase. Therefore, right off the bat, many brides/couples don’t give much thought to using professional wedding planning services because their thinking is, why pay someone to plan my wedding when I can do it myself and we totally understand this sentiment. While you may not need someone to plan your entire event, there might be certain aspects you’re better off handing over to a professional but because you’re thrown off by the literal meaning of the term “wedding planner”, you may end up not bothering to research the different professional wedding planning options available and missing out on some invaluable services. 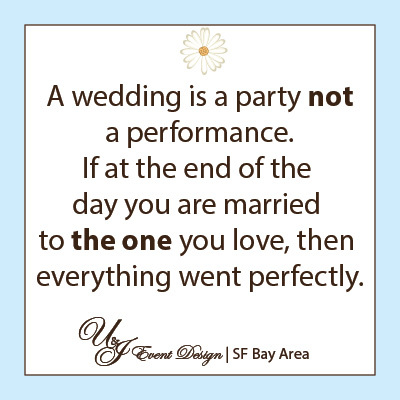 At the end of the day, only you can decide if you need professional wedding planning services or not. In light of this, we created this brief (Q & A format) guide to give you an idea of some things to consider that will hopefully help you make an informed decision. Every situation is unique, but based on our experience we’ve created a general profile of the most common types of brides / couples we’ve encountered. Hope this assists you in figuring out if you might benefit from professional wedding planning services. So which one of these bridal profiles best describes your situation? Bride A: I’m really enjoying the wedding planning process and I just can’t relate to those who say wedding planning is stressful. I’m very detail oriented and organized, therefore I don’t really need help with finding and booking vendors, negotiating vendor contracts, attending meetings, shopping for my wedding, conducting research, making decisions in a timely manner etc. I can balance my wedding planning tasks with my work and personal life. I got this, really and I’m receiving a lot of support from my fiance, friends and family. U & I: Lucky you, you’re a DIY bride! Just know that many brides are envious of you right now. No, seriously. It takes a certain level of organization skills to joggle the many moving parts of planning a large scale event. In fact we might have an opening for you to join our team 😉 Okay, on a more serious note, there are indeed a good number of brides that can handle their own wedding planning; but since they’re also “the bride”, this means they won’t be available on the day of the wedding to flawlessly execute all their plans. Here’s our advice to you: if you’ve put in months of hard work into planning a beautiful wedding, you owe it to yourself to hand over control to people that are trustworthy and dependable to run things on the big day. And those people tend to be friends and /or family. But just because you’re great at this wedding and event planning stuff doesn’t mean your loved ones are as skilled as you. No doubt they mean well, but you must drop all of your high expectations and be realistic because chances are they’ve never managed an event of this scale before. So be patient with them and accept whatever they’re bringing to the table. Bride B: I’m sort of in the same situation as Bride A but I think I have a few highly dependable people that can coordinate my wedding day. However, I want my wedding to be visually stunning and I’m big on having beautiful decor and custom details. It would be a huge relief to hand that part over to someone else. Of course I want to have a say in how my wedding looks I just don’t want to do the work. To be honest I don’t even consider myself the artistic / creative type. U & I: It’s great that you have people who can help with the details of running your wedding day! It looks like you’ve figured out everything. 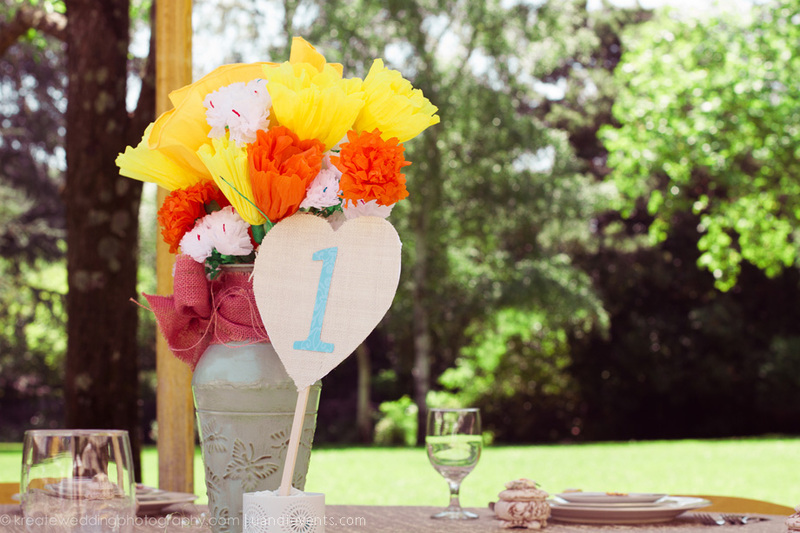 Regarding wedding decor, you can hire a professional for that aspect. It may not be as expensive as a full service event planning package. But then again, what’s your idea of “visually stunning” and how elaborate do you want to get? Is it something that should be handed over to professionals or can some of your creative friends take this on? Bride C: I’m not even going to attempt planning my own wedding. No way, I have too much on my plate and I just can’t take on another year long project. U&I: Not every wedding takes a year to plan but we get your point 🙂 When you say you don’t want to plan your own wedding what exactly do you mean? The more hands-off you are the more it will cost you to hire a professional so you might want to rethink that statement. Definitely you can find professionals that will take care of every single wedding planning detail including picking out and mailing out your invitations, going dress shopping and just about anything you can think of. But like we just stated, the more tasks you hand off to someone else the more it will cost you. So you need to decide on the level of involvement you’re comfortable with when it comes to planning your wedding. Phew! Decisions, decisions. So many factors to consider but it’s very important to conduct a self analysis before going out there to hire a wedding professional. You should have a good sense of what you want to avoid being lured into buying services you don’t need. Again, every situation is different and you may find that you don’t fit perfectly into the categories listed above or perhaps you’re a little bit of everything. In any case, the point of this is to get you seriously thinking about what you want and helping you see that wedding planners / designers do provide varying levels of services for a range of budgets. If you’re unclear about some of the things we’ve discussed here or have questions about the different services we offer, don’t hesitate to contact us.